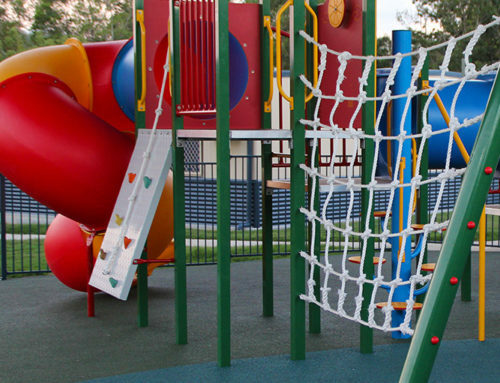 A playground is a common item found in the community and used by all children. When choosing a playground design & location, it is important to make safety a priority and ensure that all risks are identified and addressed. Not only should you take into consideration the fixed equipment, but also the surrounding area to be used. Ensure that the equipment is age appropriate and there is sufficient challenge for older children. 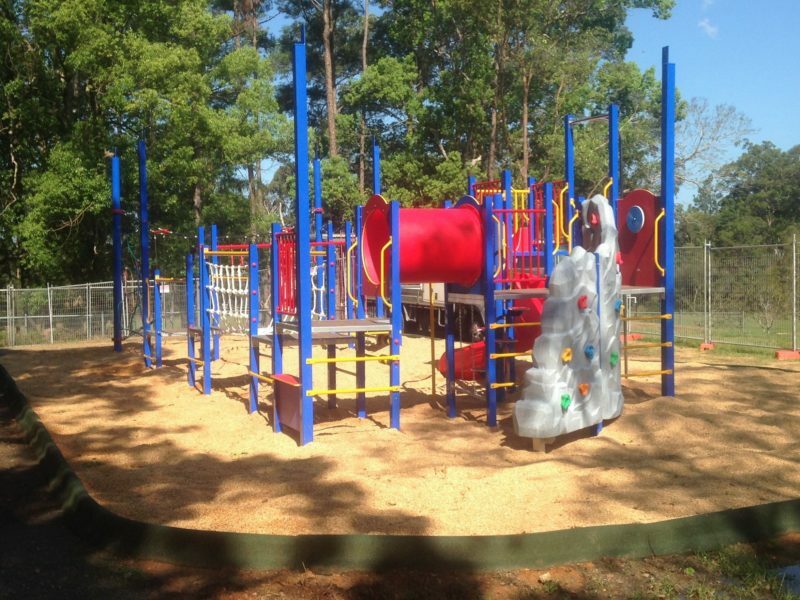 Each playground location will have a different set of needs and the layout will be different. There should be sufficient clearance given from the perimeter of equipment to ensure safety. Potential risks to the safety zones of equipment areas, such as trees, posts and fencing should be identified – and areas with intrusions should be eliminated as a potential location. Care should be taken to ensure the site chosen is free from power lines, water, gas, drainage and other services. The site should be reasonably level and the area selected should be self-draining to allow ease of use following wet weather. It is important the area be free from rocks, stones, pipes, tree stumps and other rubble. 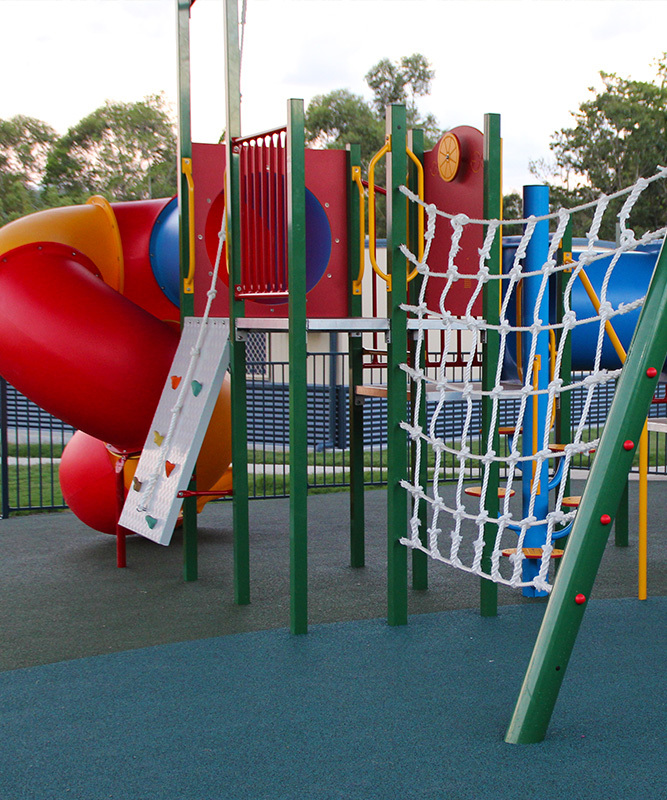 When choosing playground equipment, ensure the design complies with the current Australian Safety Standards. Equipment designers have a duty of care to ensure the equipment satisfies all standards. 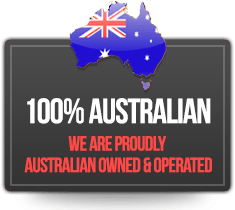 Manufacturing details should be marked on all equipment and the supplier should be able to provide a letter of confirmation that the equipment meets these standards. 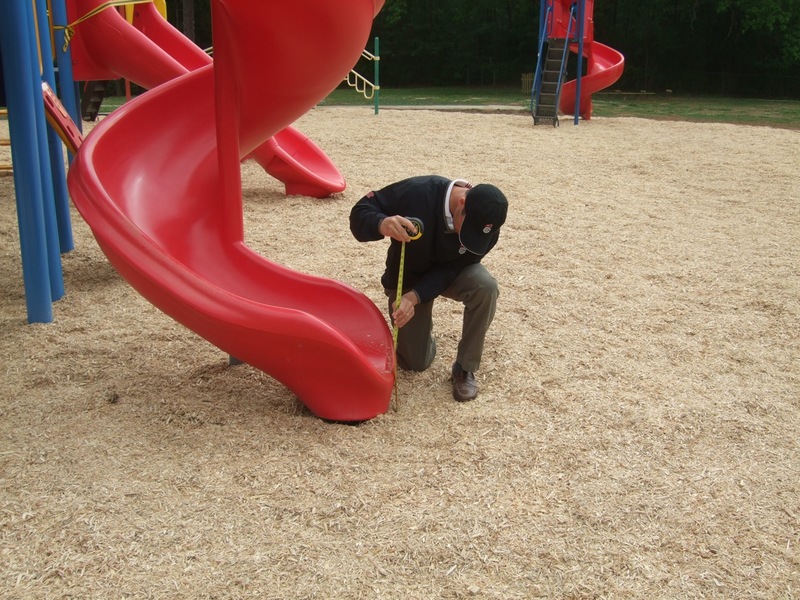 Impact absorbing materials such as soft fall safety surfacing are typically used under equipment and in the fall zone surrounding equipment. When the fall height is above 500mm the material underneath has to meet Australian standard requirements. Bark, sand and rubber are some of the materials used as impact-absorbing materials. Loose materials such as sand and bark should be regularly maintained and topped-up to ensure they comply with specifications. 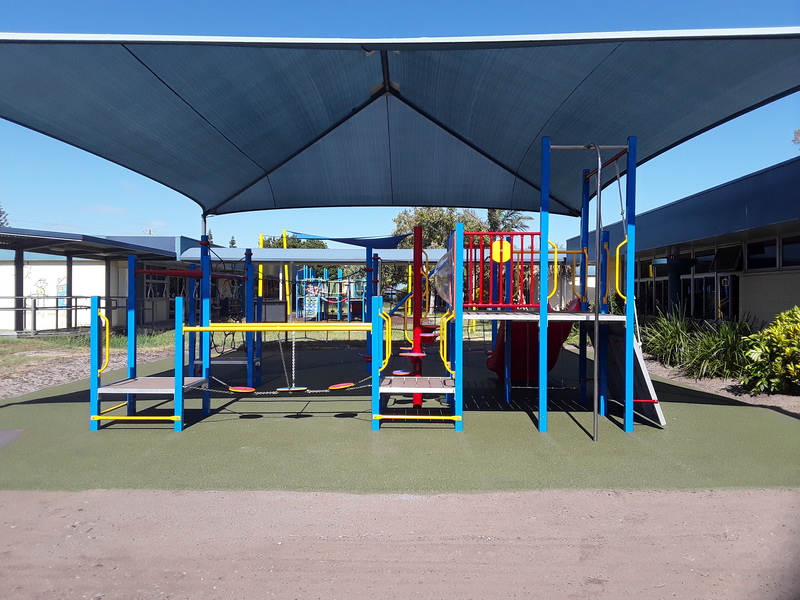 Providing some form of shade for the playground should also be considered, think about either a shade sail or installing a roof over the playground. Equipment should be regularly inspected and maintained. It should be checked that all fittings remain tight and an inspection schedule should be adhered to. Only genuine parts from the manufacturer should be used to replace worn parts on equipment. Loose materials should be regularly checked for hazards and foreign objects. 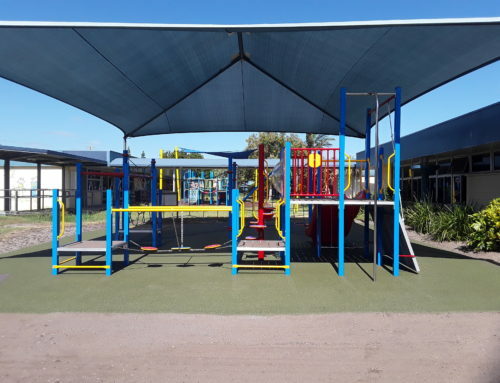 For more information on choosing a playground design http://playpoles.com.au/playground-equipment/ or contact us today.